As a business owner or commercial facility manager, you know how important it is to get service as soon as possible to take care of plumbing issues. 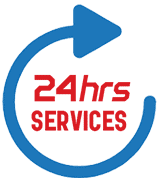 At All Hours Emergency Plumber, we are dedicated to providing the highest level of customer service no matter what time of day it is. If pipes are leaking or have burst, this is a major problem that not only affects the delivery of water for your processes, it can also cause widespread damage to your property as well as inventory. The building you recently move into turned out to lack sufficient plumbing amenities and you are in immediate need of professional commercial plumbing services. We are known in the industry for our expertise in working with commercial fixtures and installing water heaters and new piping, for example. Our technicians follow industry best practices and employ the latest in camera technology for quick and thorough inspections of your water system. When something goes wrong with your plumbing, the results can be disastrous. Water damage can shut down your company and if not taken care of immediately, the additional moisture in the environment can lead to the growth of unhealthy mold that requires mitigation. In the meantime, your workers can’t do their jobs and customers and clients may wind up going with your competition. To keep this from happening, our team will handle your commercial plumbing repairs quickly and efficiently. You’ve determined that your building lacks proper plumbing to support the nature of your work (manufacturing or cleaning processes, for example). 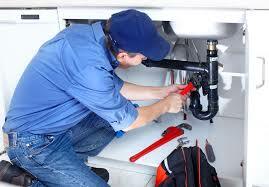 Or, you may need commercial plumbing professionals to come and install new pipes or to replace a sewer. From water leak detection to water heater installation, the team at All Hours Emergency Plumber is capable of handling any job. When it comes to commercial plumbing services, we recognize that work may be required at any time of the day or night. If your organization has a plumbing issue affecting operations or the health and safety of your employees, customers or visitors, you’ll want to take care of the problem immediately. The commercial plumbing repairs we provide at All Hours Emergency Plumber will be conducted with minimum disruption to your workforce. Our team will be happy to set an appointment with you before or after your normal operating hours to avoid distractions and interference. For details on our commercial and business plumbing services or to schedule a service call, please contact the team at All Hours Emergency Plumber today.